Troubled times have cast a shadow across the great Mayan civilization. Food is scarce, and the gods grow negligent. Everyone must work faster just to survive. Yet despite this chaos - or perhaps because of it - a fifth ruler has risen to compete for dominance of the Maya. 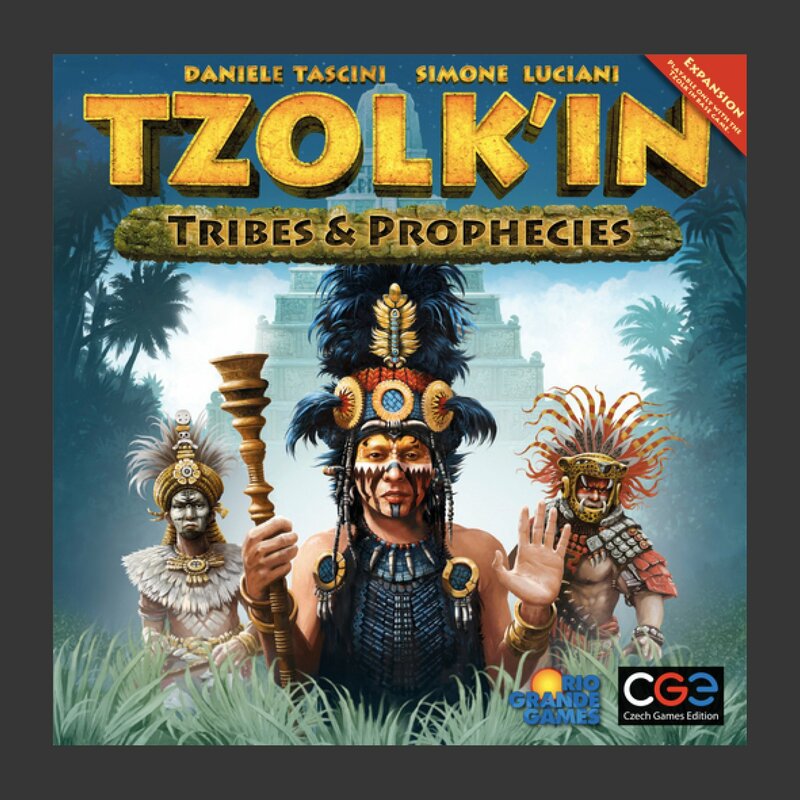 With Tzolk’in: Tribes and Prophecies, you become the mighty leader of your own tribe. Your ultimate duty is the welfare of your people. Each tribe has unique gifts. You can lead the wealthy Ixtab, the numerous Yaluk, the industrious Ah Chuy Kak, or any of the 10 other tribes. The gods have spoken, and we hear their words through the mouths of prophets. They have foreseen three calamities that will befall the Maya. Those who neglect the prophecies shall perish, but the wisest rulers will heed the warnings, plan ahead, and lead their tribes to greater glory. 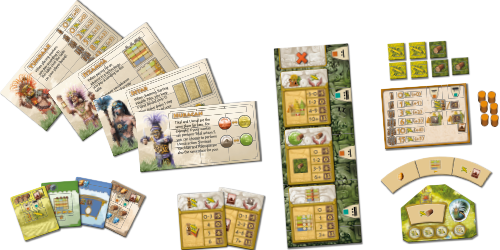 This is an expansion to Tzolk'in: The Mayan Calendar, which is required to play this expansion.